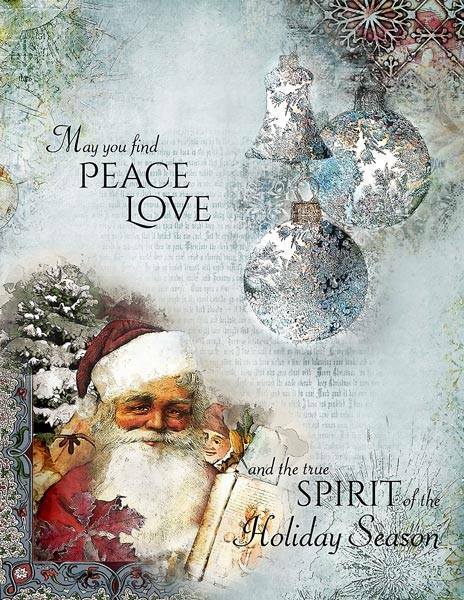 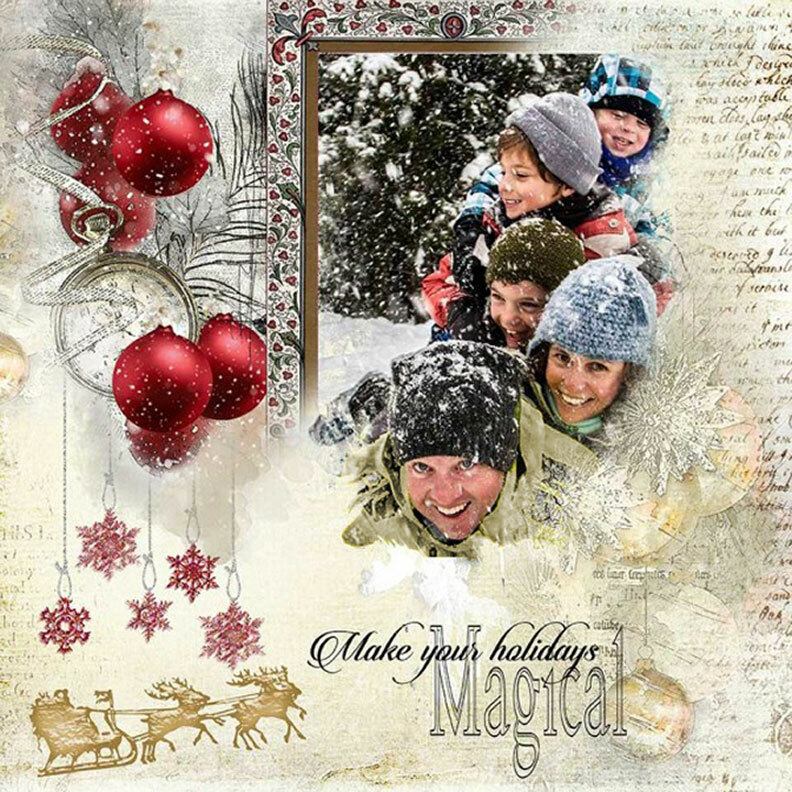 We know it is way too early to think of the holidays, UNLESS you are creating cards! 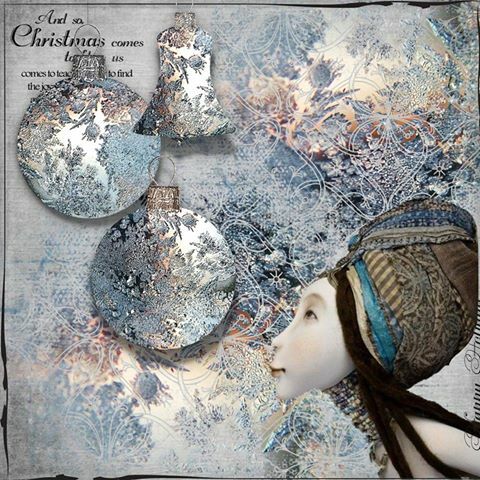 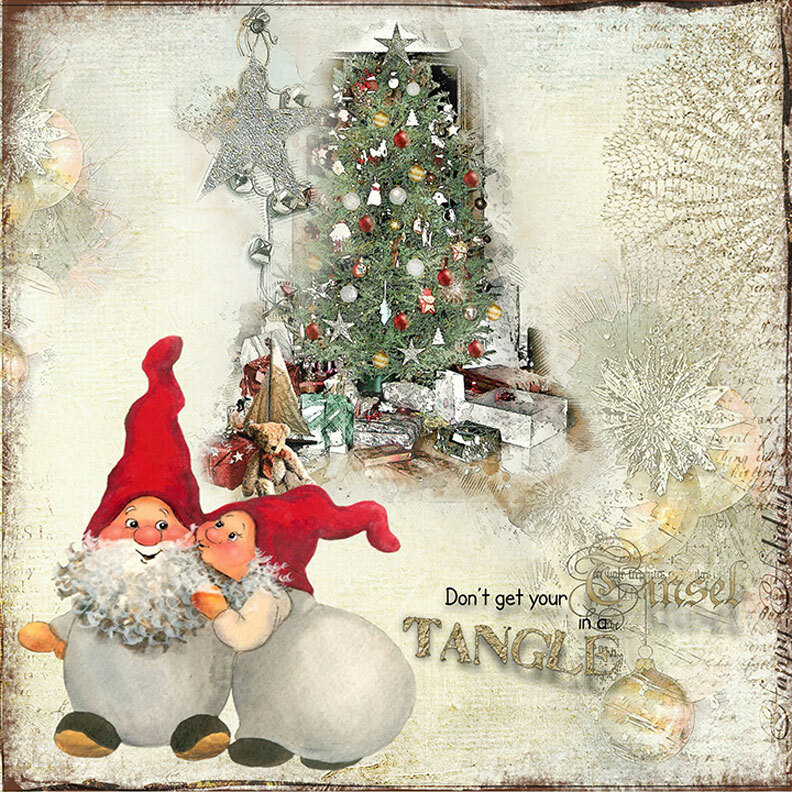 By customer demand, Ann Brown and I have created another AnnAria collaboration called Holiday Trimmings Lots of holiday ornaments, a fabulous santa and tree, oodles of elements and masks, this kit has everything you need to start your personalized holiday cards! 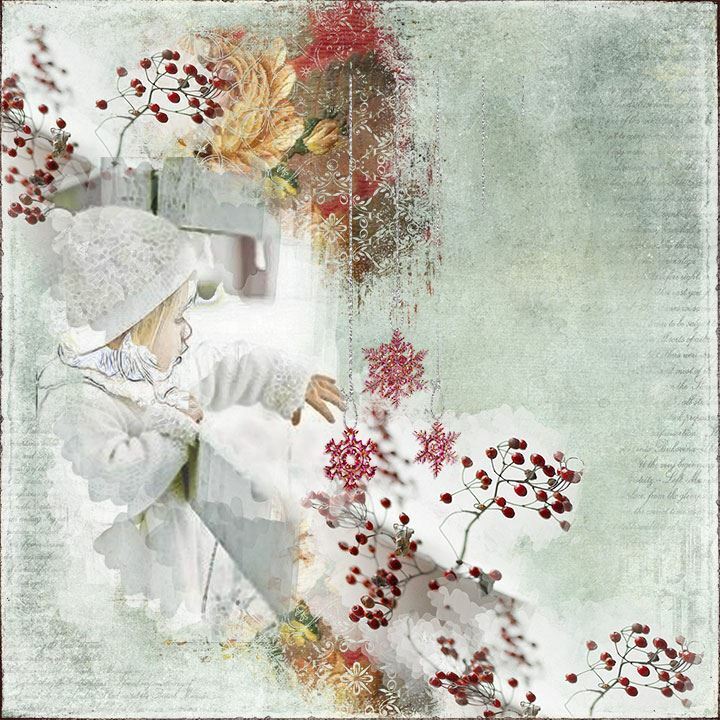 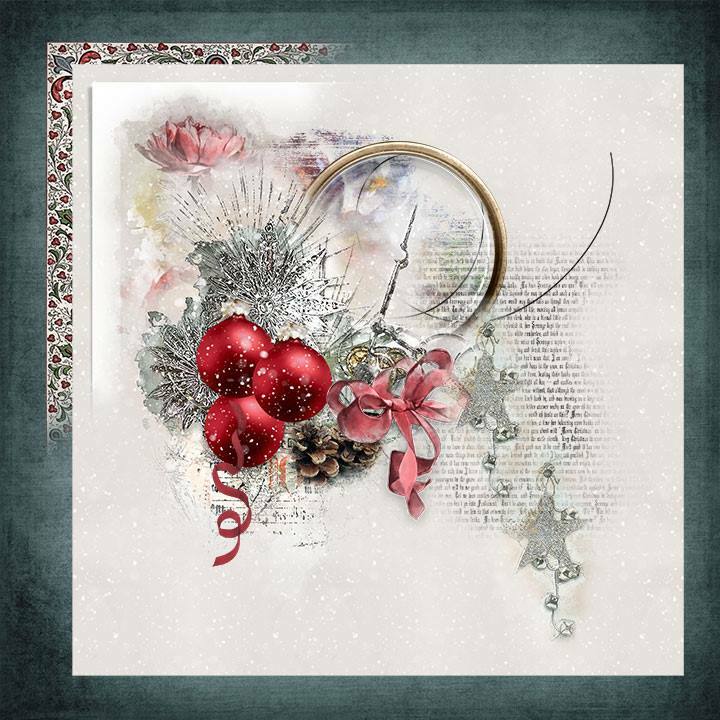 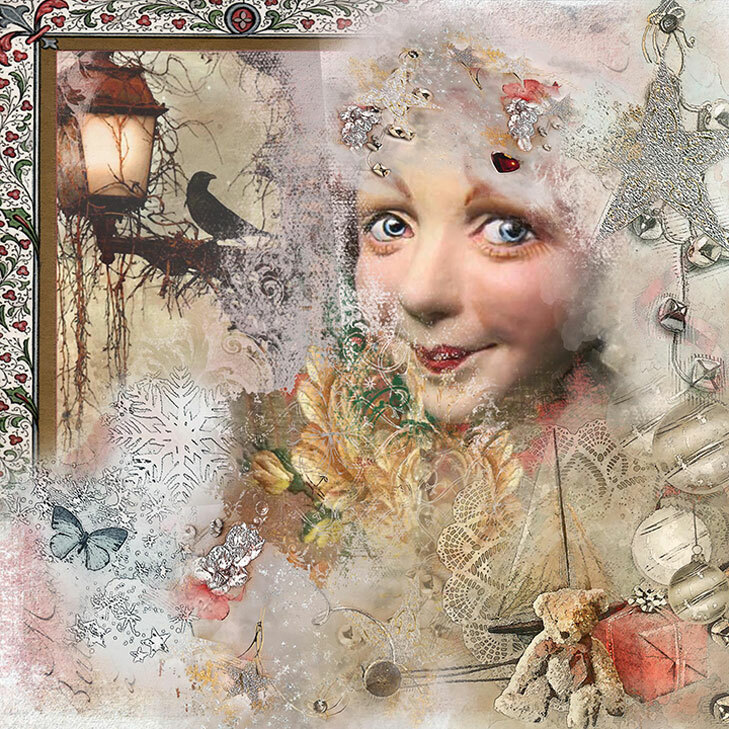 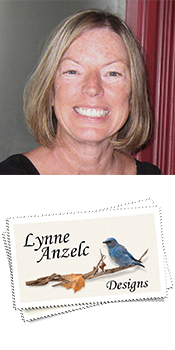 Carefully designed with a special watercolor technique by Ann, this kit is elegant! 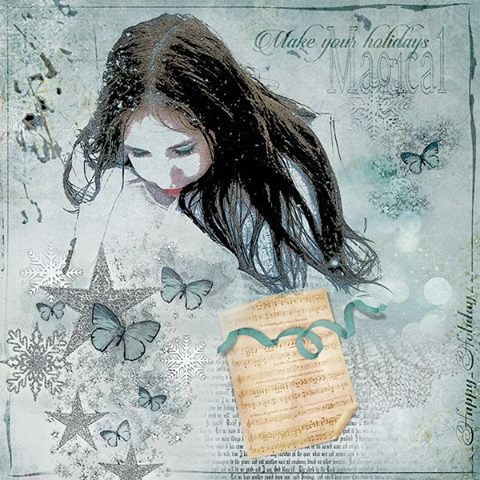 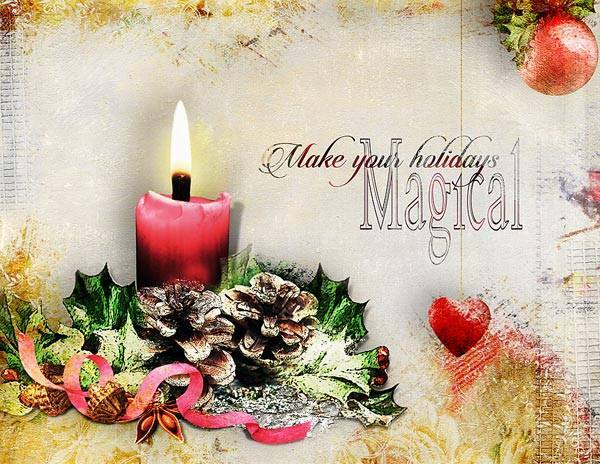 THoliday Trimmins is a keeper to be used every year to make your pages and cards magical and unique! 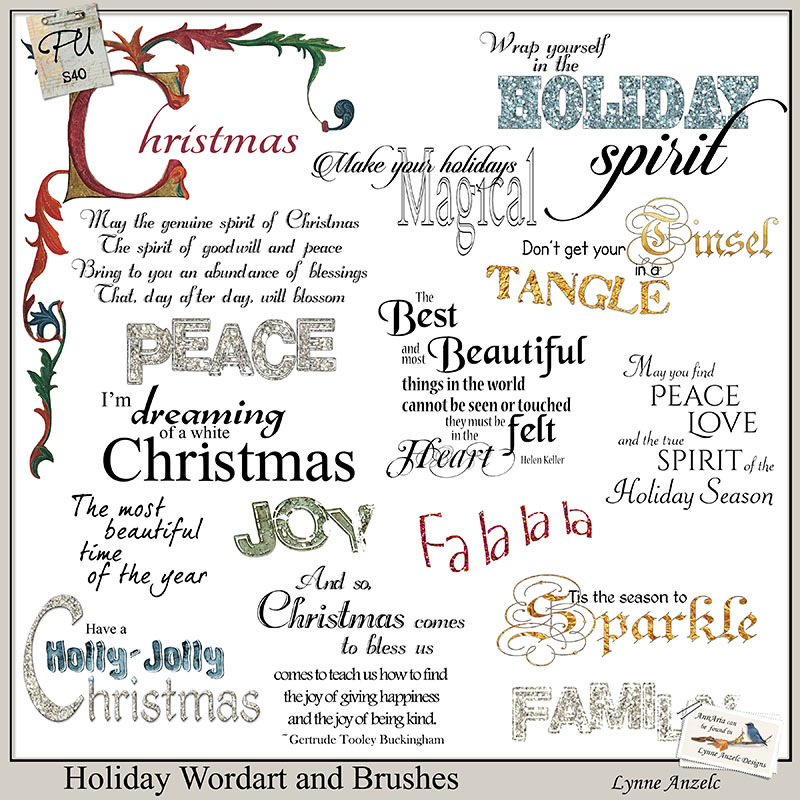 The Bundle includes Special Art Papers, the full kit, and the Wordart. 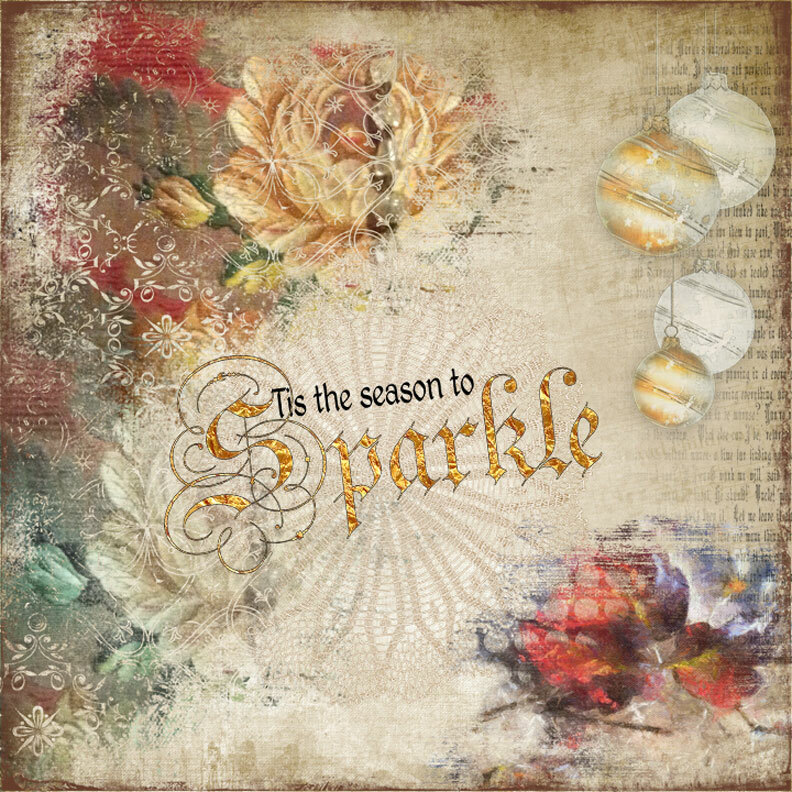 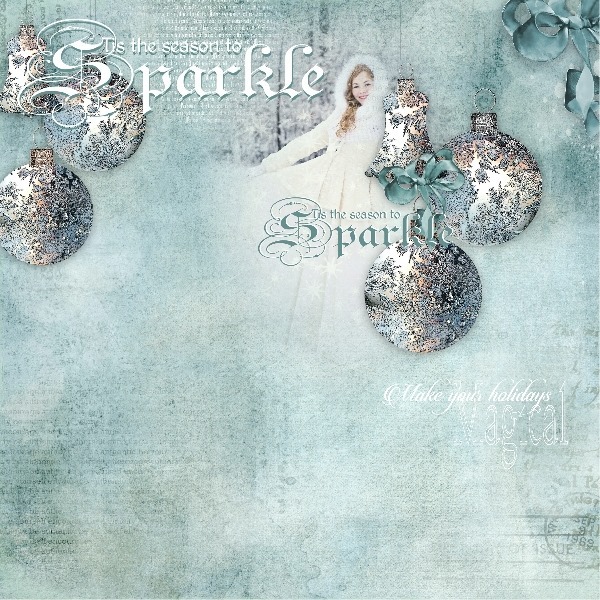 Details: Included are 16 Designer Art Papers, twelve wordart phrases, three words and one element; Twenty clusters will add that elegant finishing touch to any journal or page, and ideal for creating your holiday cards or note cards. 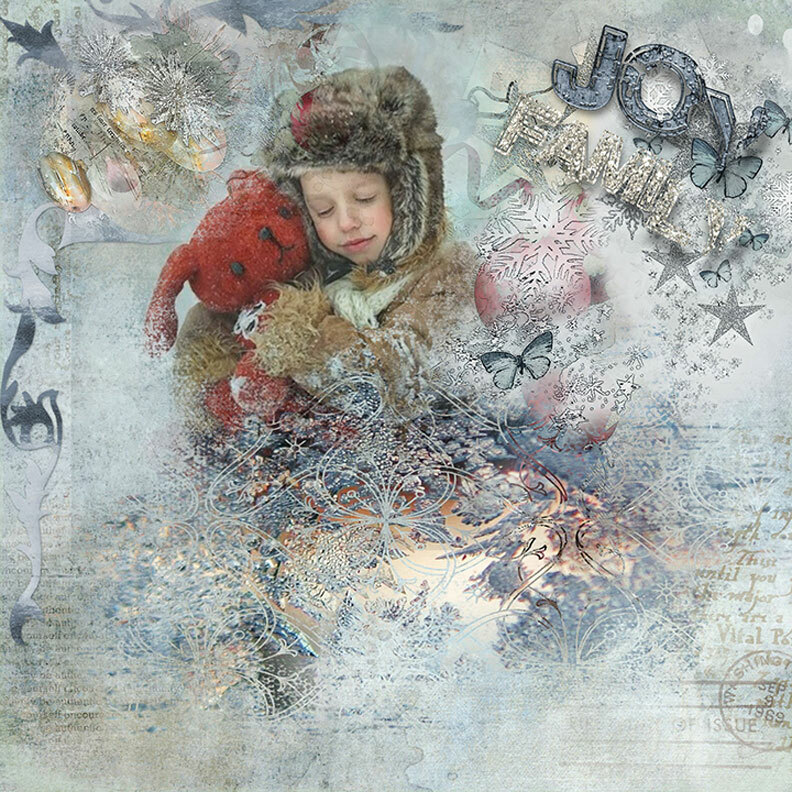 One clipping mask and seven decorated masks that can also be used for clipping look great as accents to the clusters, Santa and the traditional Christmas tree plus twenty nine additional elements (some with and without shadows) are provided to give your artwork the individual look you desire. 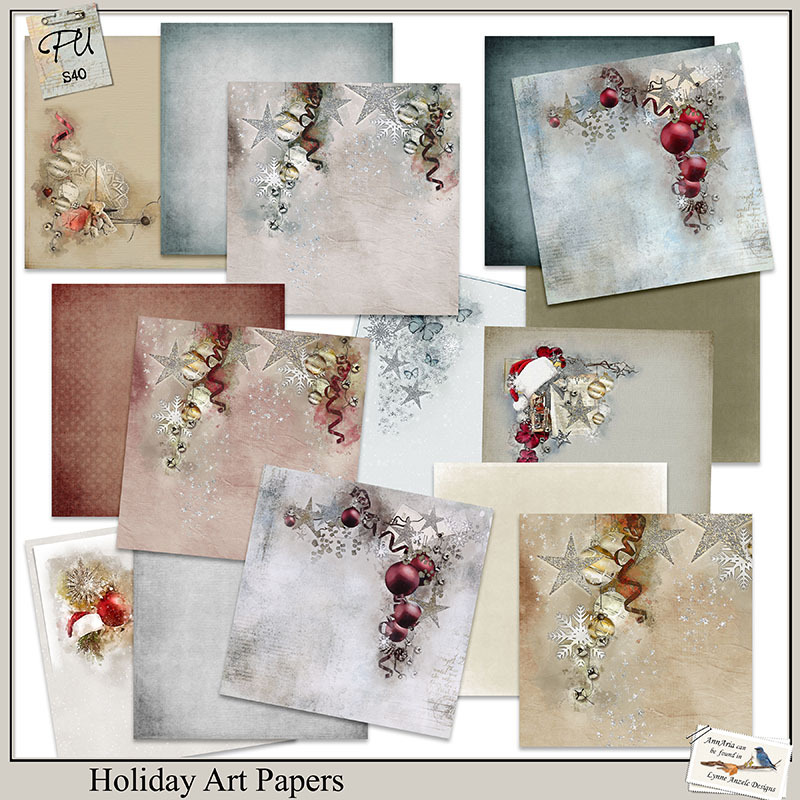 Eighteen papers are included to help the holiday art to pop. 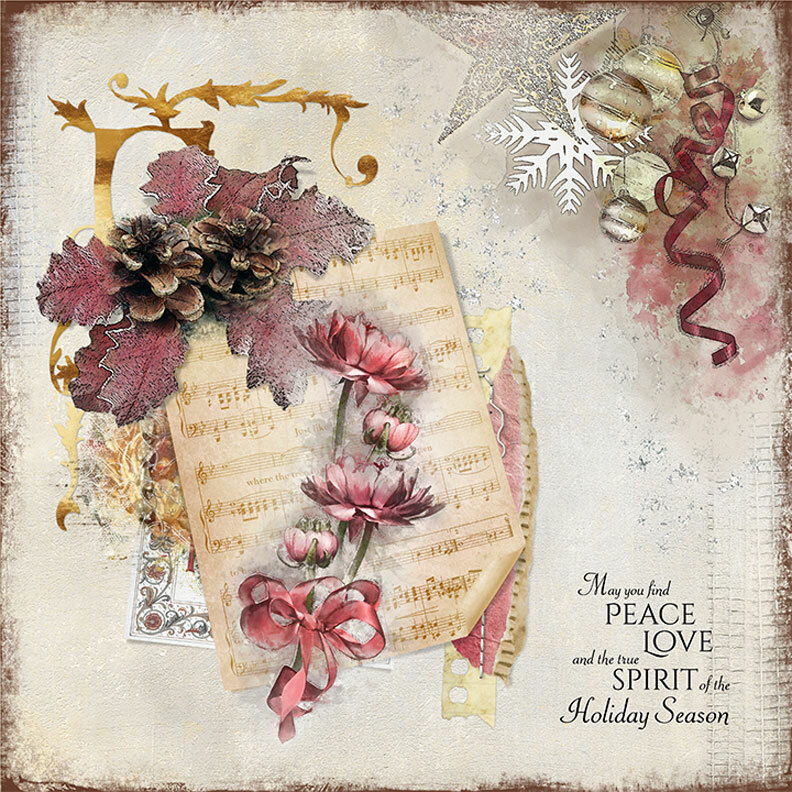 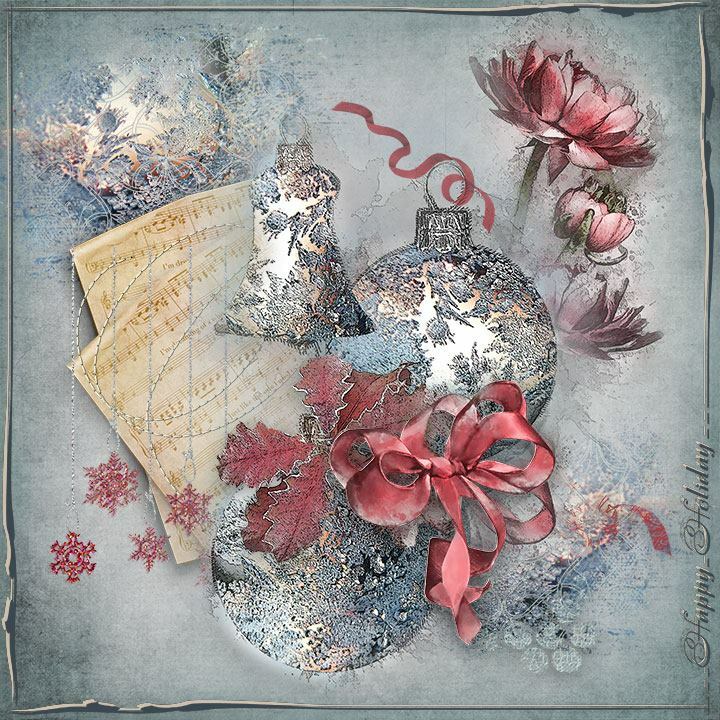 Elements include: 20 clusters (plus a few alternatives), 8 masks, 1 santa, 1 tree, 3 frames, 1 candle, 1 bow, 2 ribbons, 2 half frames, 1 heart, 1 single ornament, 2 triple ornaments,1 dangling starflakes, 1 peony, 2 swirls (on stitches), 1 overlay frame, 1 script, 1 music page, 2 lace accents (one silver), 3 strips, 1 frosted leaf,1 holly, and 1 Home for the Holidays.